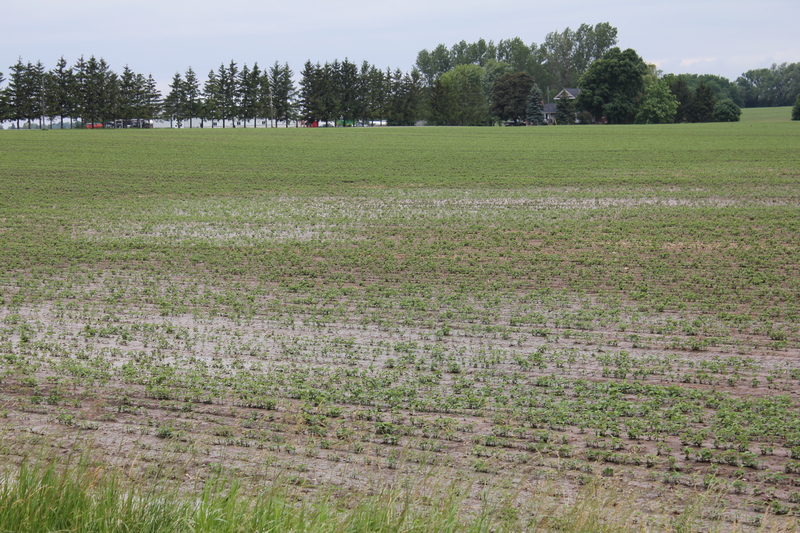 Above average precipitation in the spring of 2011 has illustrated for many, areas within their fields that are slower to drain and even prone to have standing water (see below). Certain herbicides are at greater risk of causing crop injury in areas where there is standing water. The reasons are two fold. 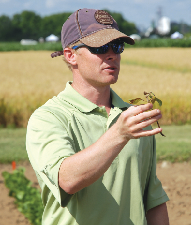 First, the plants are stressed and their ability to metabolize the herbicide is greatly reduced. Second, standing water may bring the herbicide into solution making it more available for uptake by crop roots. 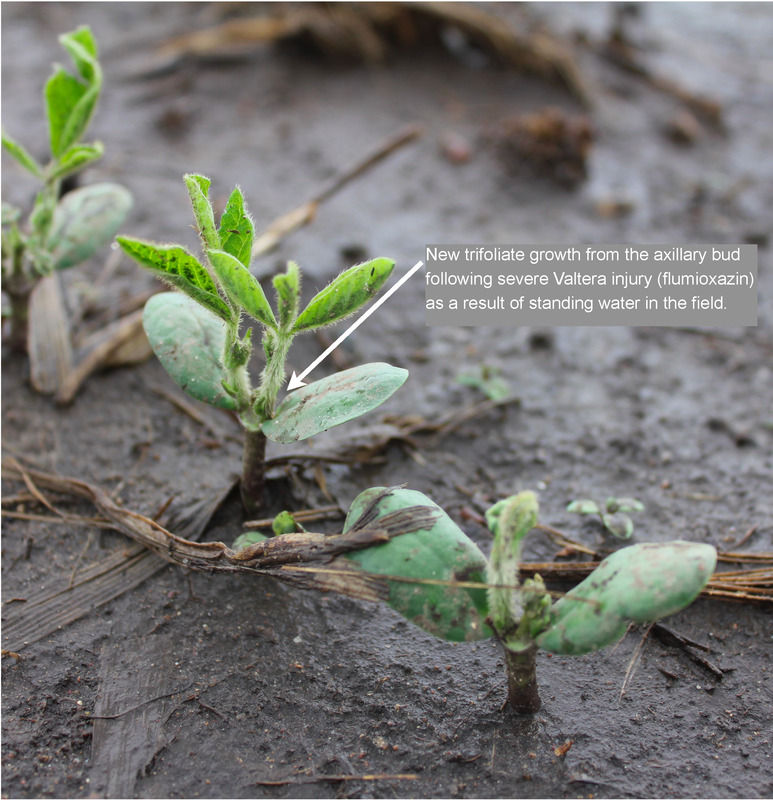 Valtera (flumioxazin) is one herbicide where the label specifies that “sever crop injury will result when soils are flooded following application”. Below is an image of severe flumioxazin injury. 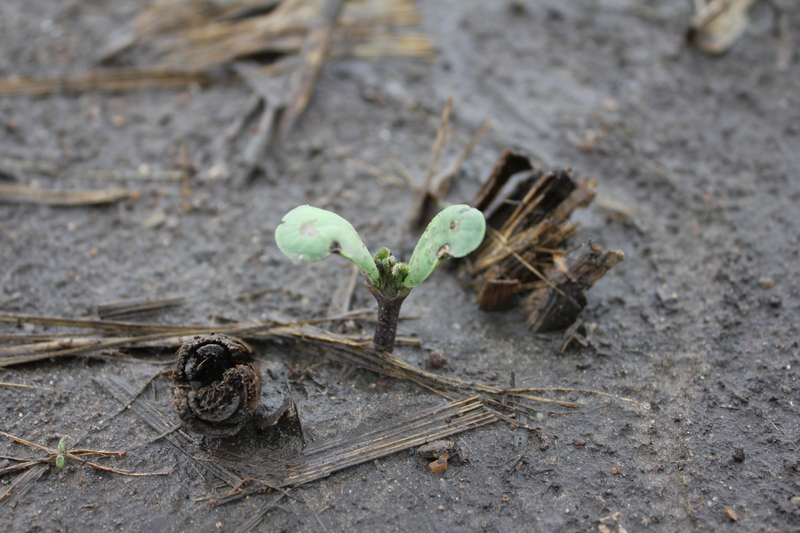 Will soybean plants be alright? The growing point will tell the tale. 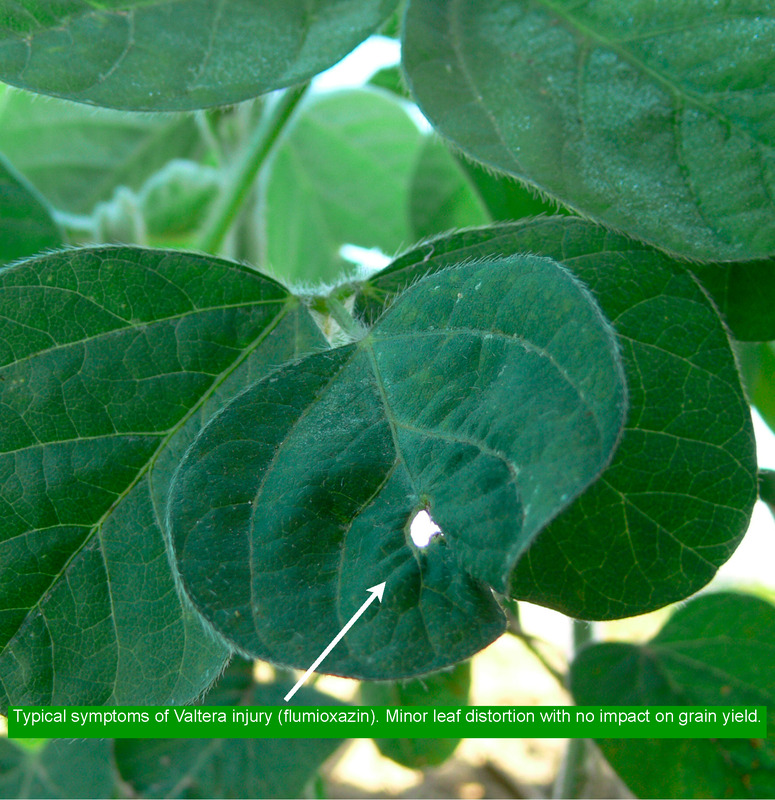 My experience with Valtera injury has been that you will either see plants where the growing point is completely fried which often results in plant death (below). Or the terminal bud is severely damaged but the axillary buds produce new trifoliate leaves and the plant survives, although yield potential is reduced (see below). 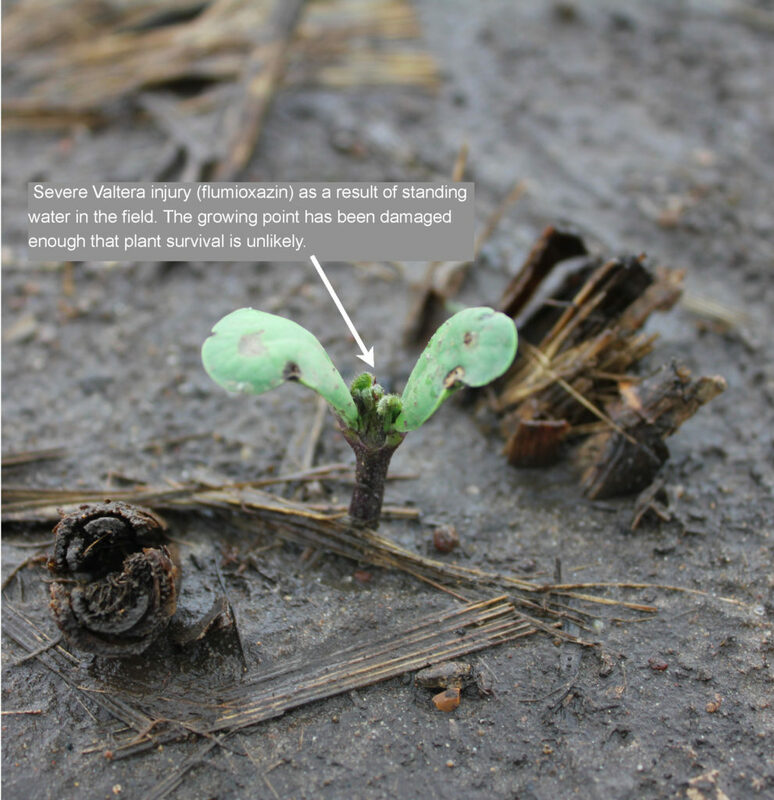 The type of injury shown in the above images is rare and usually the result of standing water or applications made close to soybean emergence. More common is to see minor leaf distortion that has no impact on grain yield (see below).